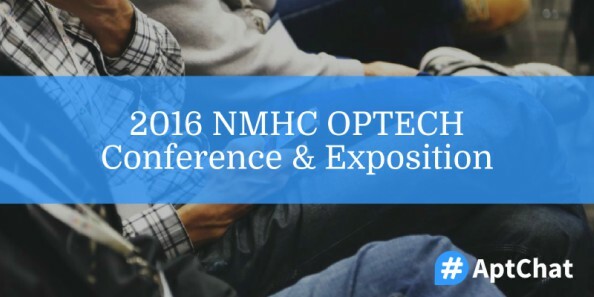 This week’s #AptChat fell right in the middle of the 2016 NMHC OPTECH Conference & Exposition, so we thought it was the perfect time to talk about how tech trends are impacting apartment marketing. Q1: 35% of renters expect a response “in a few hours or less” when contacting a property. How can tech help reach prospects faster? Q2: We know people want to see where they’re going to live. Are you using Virtual Reality today? Are you looking at using it soon? Q3: What have you seen about smarthome tech for apartments? How will that impact the industry? How might it impact apt marketing? Q4: Lots of talk about tech at the property. Car chargers, solar, wi-fi, fiber, etc. What are you seeing prospects respond to most? 35% of renters expect a response “in a few hours or less” when contacting a property. How can tech help reach prospects faster? @AptChat Their expectations are unrealistic and childish, and I won’t form my company around the desires of such people. @AptChat @pslohmann The rest of the world serves customers in an instant. Their expectations are rooted in what is entirely possible. @AptChat It often helps to have multiple alerts in case team members are out of the office or away from their computers! We know people want to see where they’re going to live. Are you using Virtual Reality today? Are you looking at using it soon? What have you seen about smarthome tech for apartments? How will that impact the industry? How might it impact apt marketing? Lots of talk about tech at the property. Car chargers, solar, wi-fi, fiber, etc. What are you seeing prospects respond to most? Our next #AptChat is slated for Tuesday, November 22, 2016 at 12 pm Eastern, and we’ll be discussing how to capture more renewals. In the meantime, be sure to sign up for #AptChat updates to get these recaps and more delivered straight to your inbox!